The academic program is demanding; much of the material is taught at the college level. But with six on-site faculty members, and enrollment limited to 30 students, each student receives a very high level of personal attention. Students particularly value the opportunity to work with their peers in teams to solve difficult problems, rather than competing against them. The spirit of cooperation is reinforced by the absence of grades or formal credit. 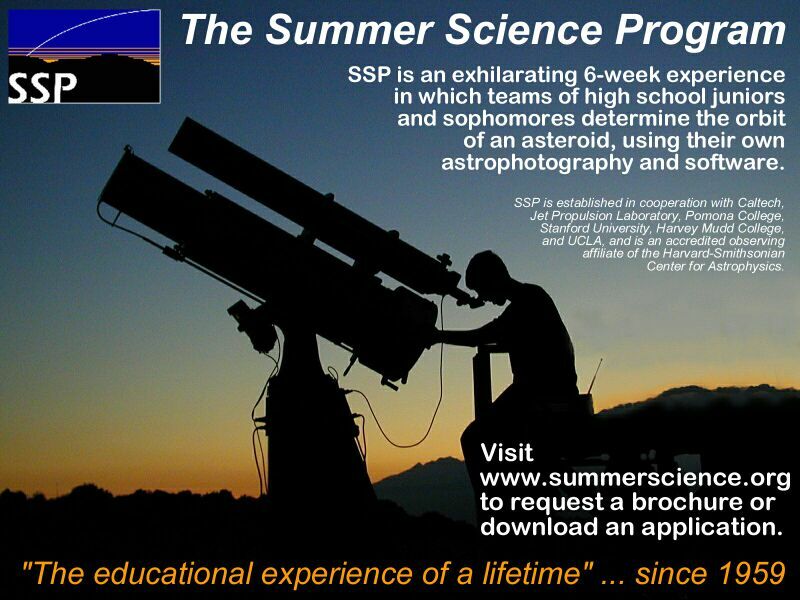 Motivated students will find "the SSP experience" exciting and immensely rewarding in many ways -- by far the best way to spend those six weeks next summer! See the SSP Web site for much more information, including FAQ.